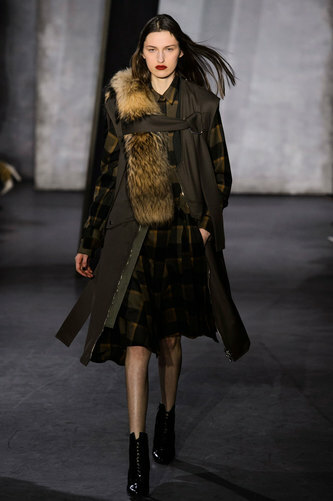 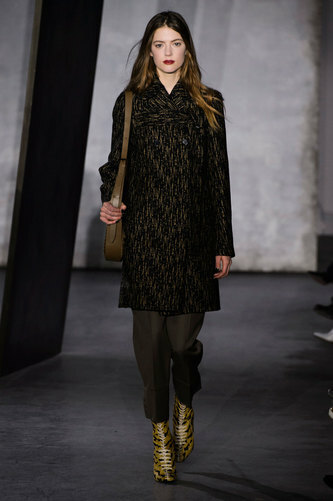 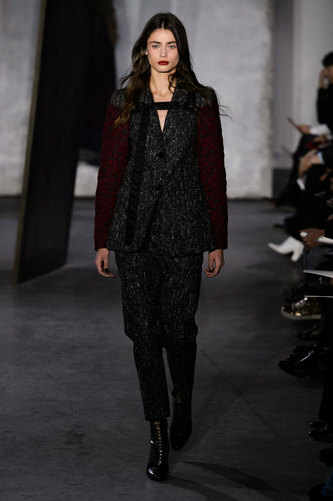 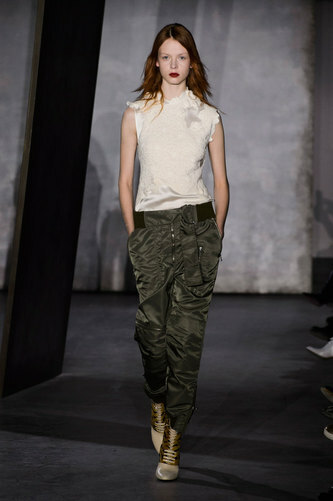 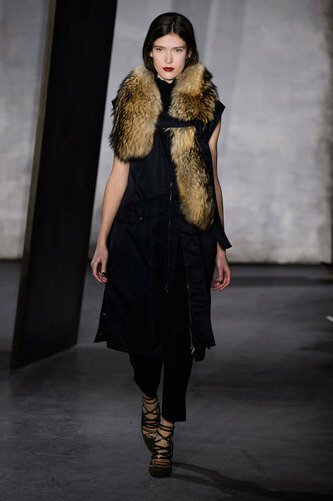 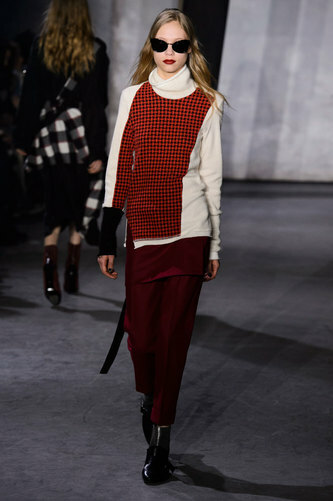 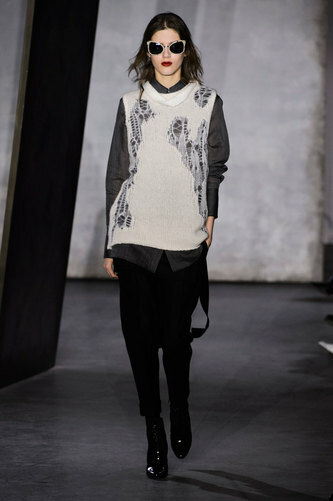 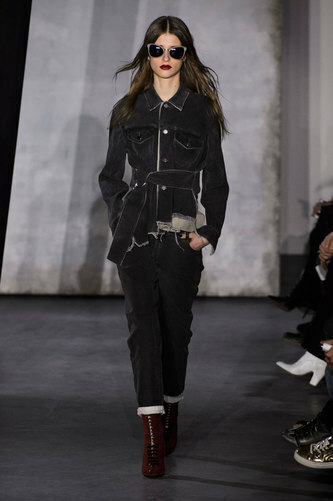 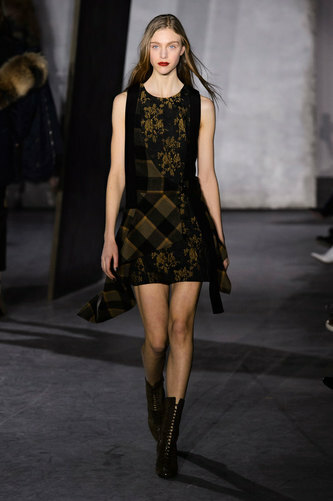 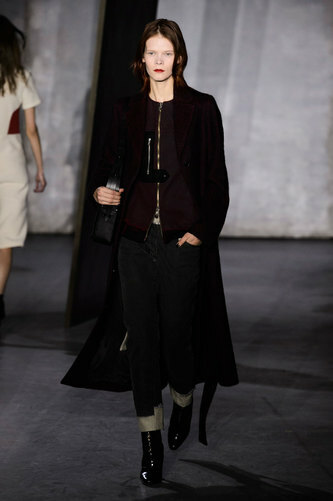 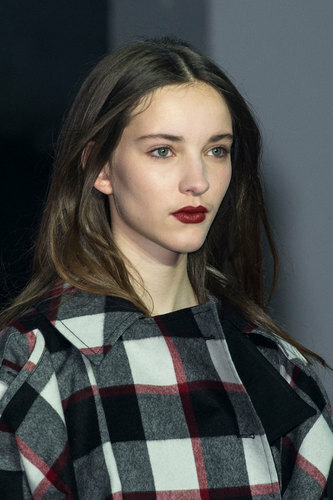 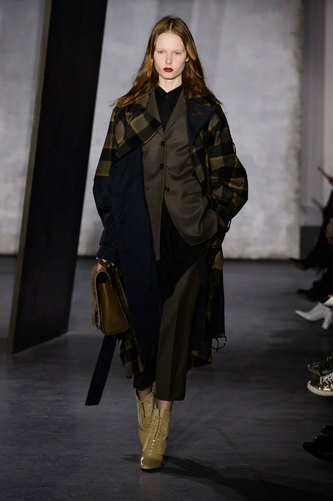 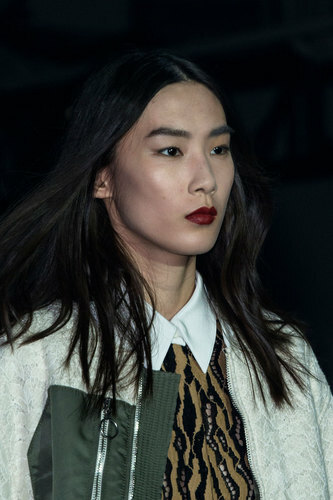 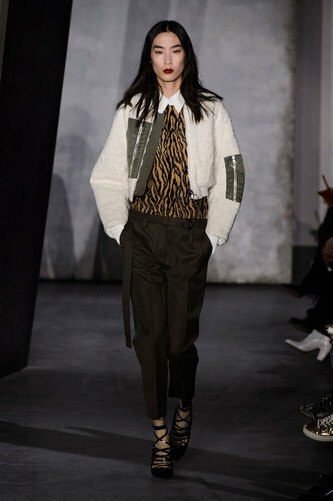 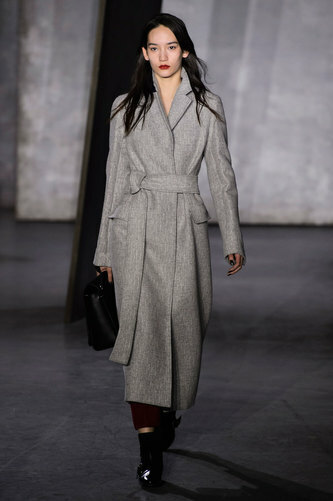 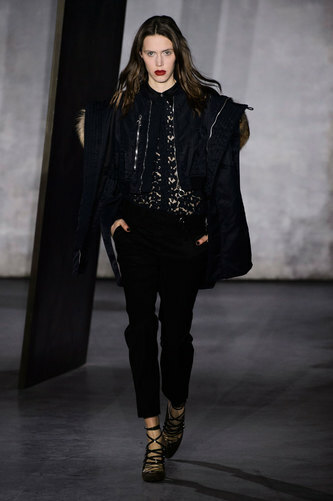 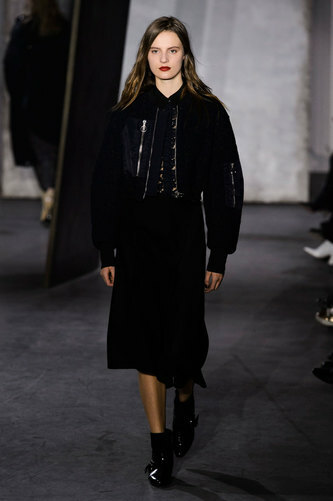 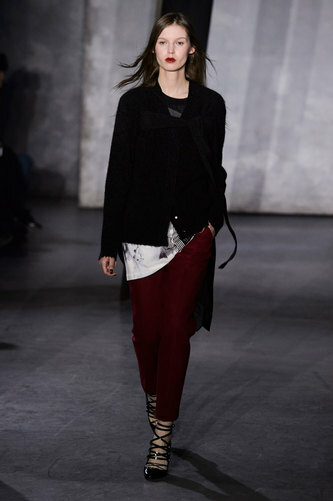 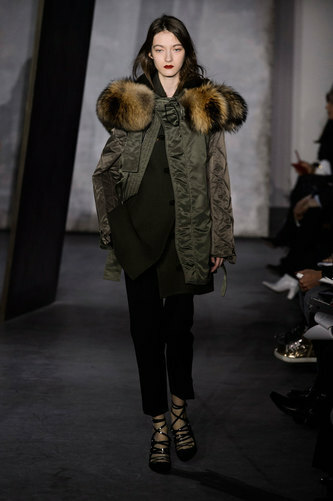 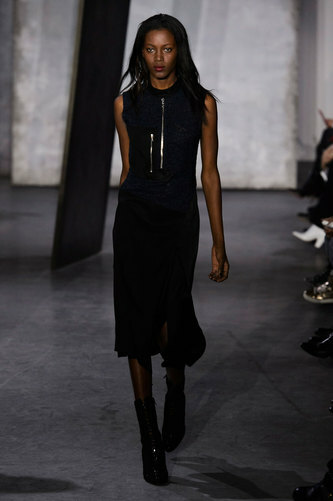 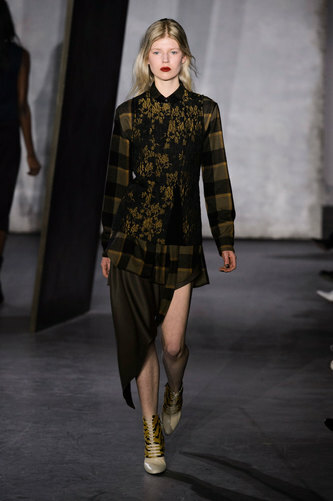 3.1 Phillip Lim Women Autumn-Winter 2015 – Celebrating his 10th anniversary of the Phillip Lim brand, Lim brings a punky vibe back to New York. 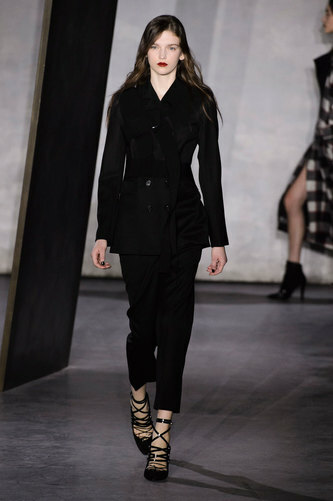 Whilst emphasizing his key aesthetic elements, of relaxed and undefined silhouettes, there is re-shaping and re-jiggling of other aesthetic features – which Lim describes as “haphazard”. 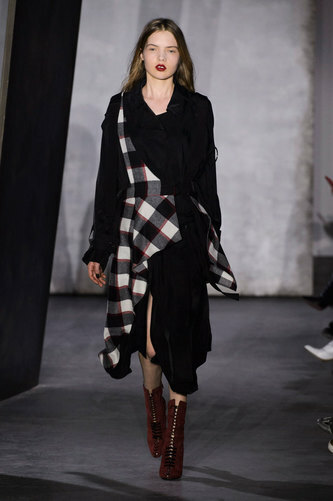 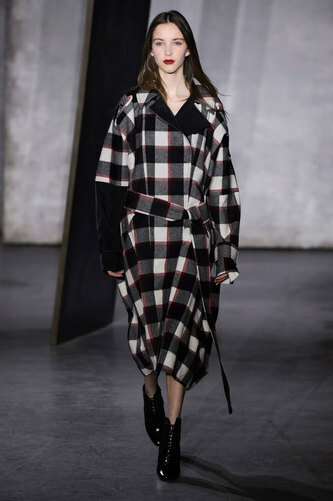 Lim’s first look consists of a monochrome outfit, with incorporated tartan pattern wrap-around loose skirt, layered with a leather sleeved wool coat. 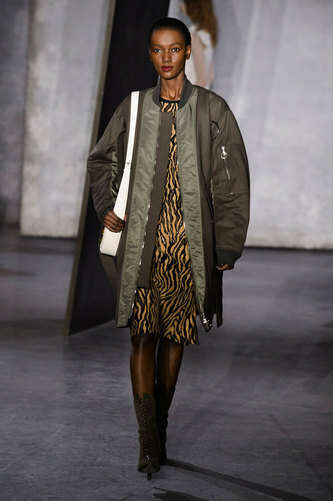 Contrasting with the last look, a more jungle themed outfit with a midi leopard print pattern skirt, with a khaki puffer jacket on top of a white shirt – still incorporating the red lipstick and sunglasses, the only similarities kept within this varied collection. 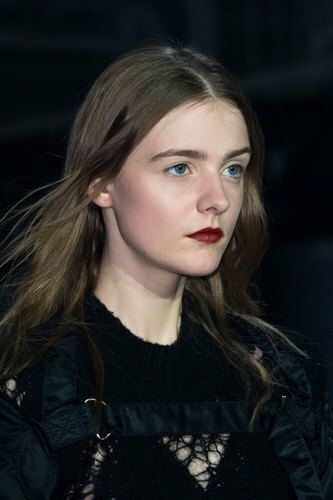 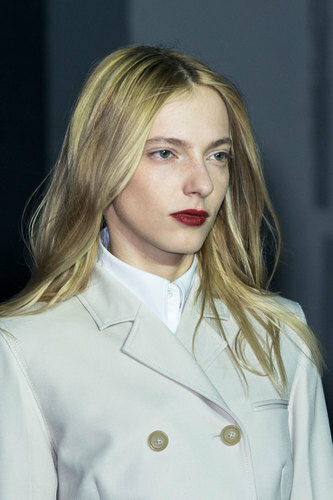 Accessorizing with oversized statement sunglasses, black lace up boots and black leather hand bags – to advertise his accessories label – with minimal makeup and bold red lip, helping the punk aesthetic shine through.